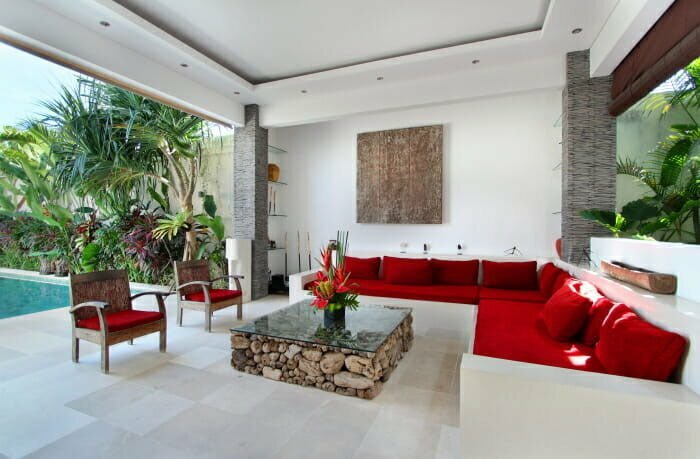 If you are dreaming to hop on board one of the newly constructed villas in Bali, then you are in for a great deal with Jempiring Villa Complex. 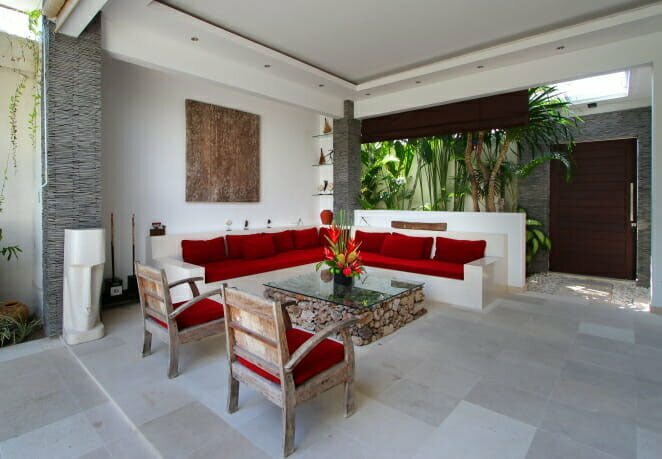 Our property is an excellent vacation home for groups of friends and families seeking a relaxed luxury. 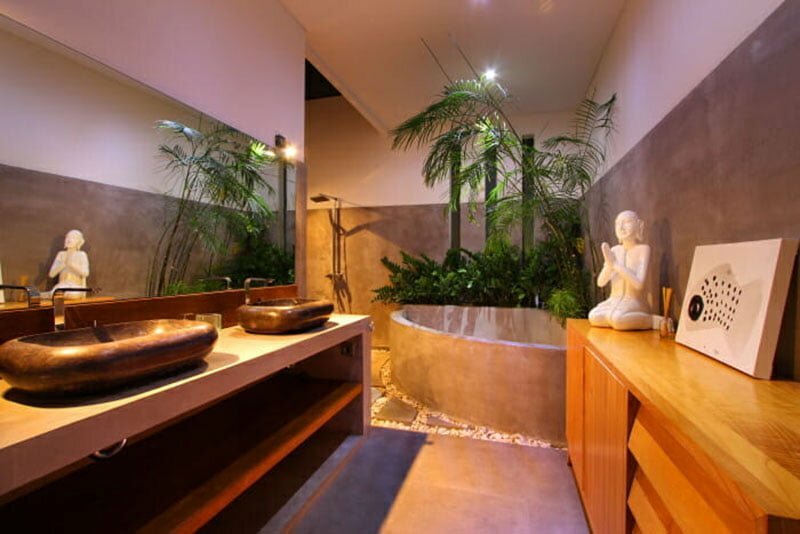 We are nestled at the heart of Oberoi area –a quiet and calm very sought after residential zone. 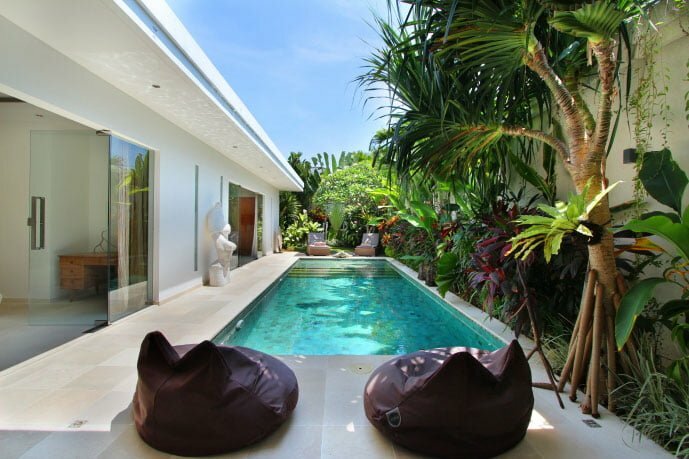 Our haven is only three minutes-walk away from the lively boutiques and restaurants of Seminyak. Our villas are a true definition of tropical and beachfront holiday accommodation facility from the looks and feel of the outdoors. 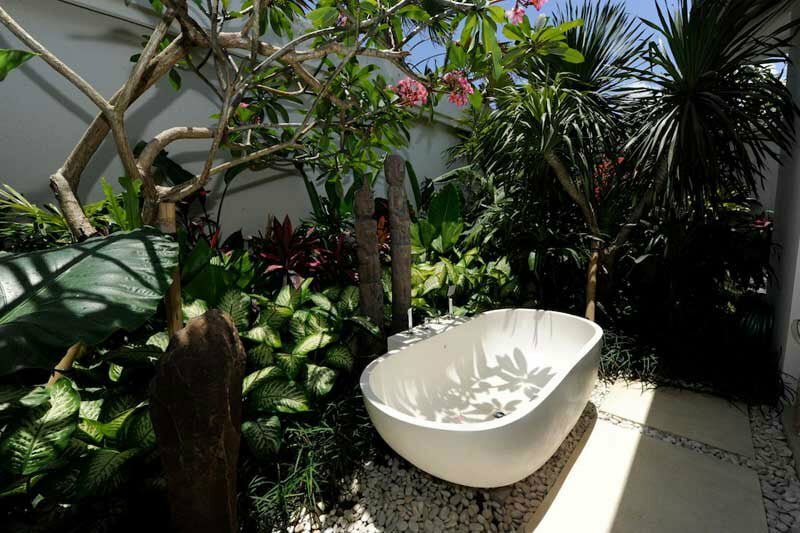 The property name loosely means a fragrant garden flower, which blooms at the villa’s tropical lush gardens. The attractive frangipani trees add a charming and beautiful delight to the garden. Our swimming pool is one the prime reasons to leave guests enchanted, and this perhaps explains why it is difficult to leave our place. The lagoon-style pool boasts of a shallow section so everyone, adult or kid, can experience a dip of its waters. Alongside the pool deck are several comfy loungers for guests to soak down, chill out, or read their favorite books. If you like the experience of partially sunken sunbeds, then we have you covered! It is only at our villas where you will discover a spacious sunken living room featuring panoramic windows that open up to the infinity pool. Our living area furnishings and decors are unique in that they are made from recycled woods gathered from fishing boats, which gives the area a relaxing and refreshing feel pulling guests away from the earthly stresses and tensions. 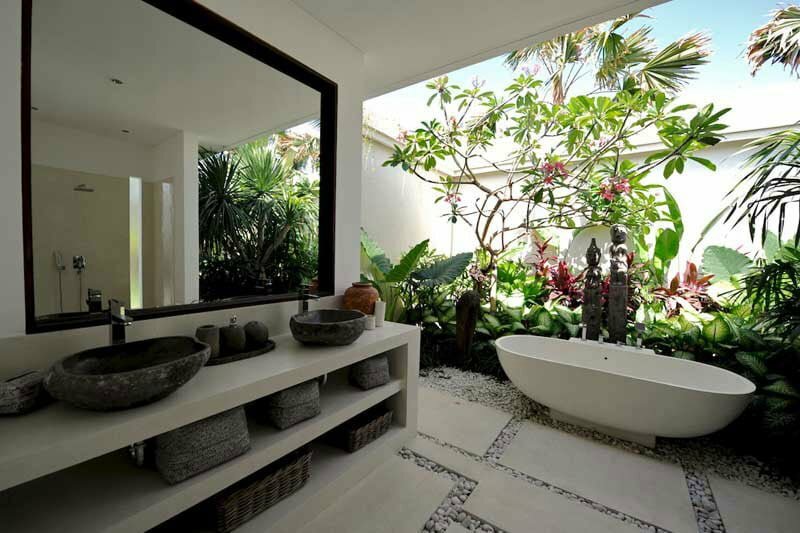 The open-plan concept lets in sufficient light and fresh air for ultimate Bali feel. There are several L-shaped sofas facing a flat-screen television with a DVD player and an overhead projector for great entertainment. 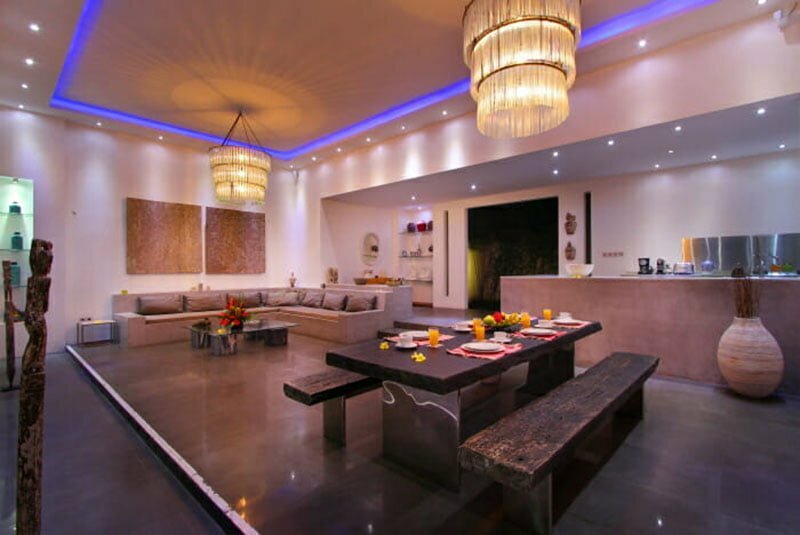 There is also a dining room inside the air-conditioned living area for guests to indulge in their favorite meals. 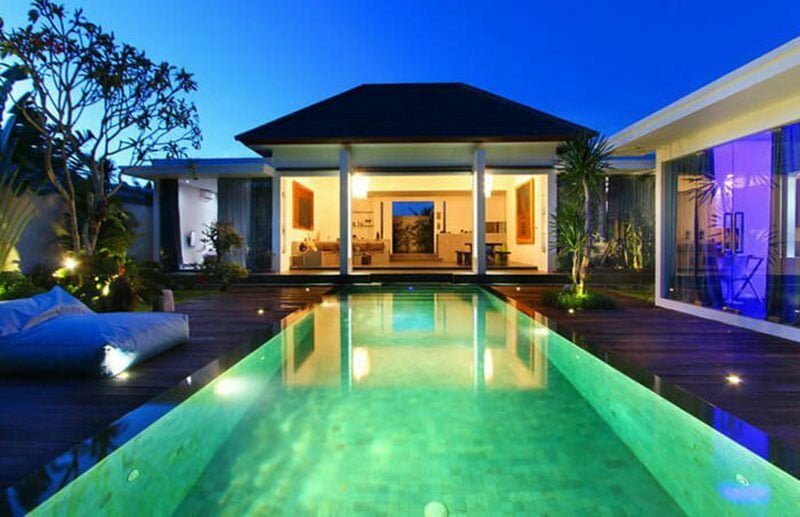 Since our property is a complex accommodation haven, it consists of several villas, one of them being the Villa Bahia. This is a three-bedroom facility. All the spacious rooms advance the theme of luxury and they feature air conditioning system, vast dressing room, and a fully furnished en-suite bathroom. They also have a satellite television and free Wi-Fi internet access. Each room is decorated with photos, maps, and paintings from the area to bring a feel of Indonesian culture. 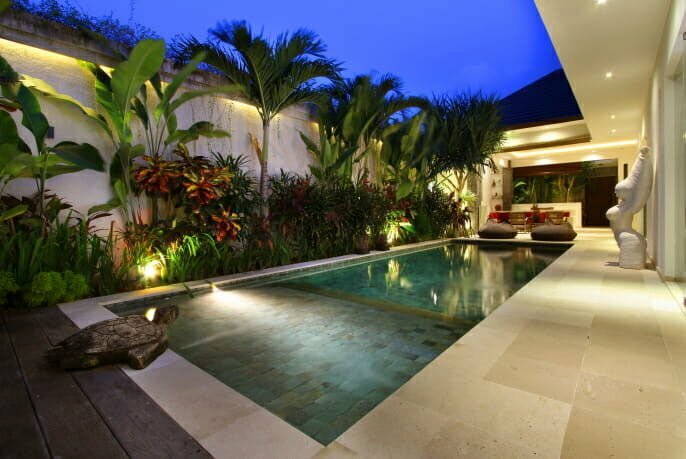 This villa is an elegant and sober place where exotic and modern architecture is harmoniously mixed. 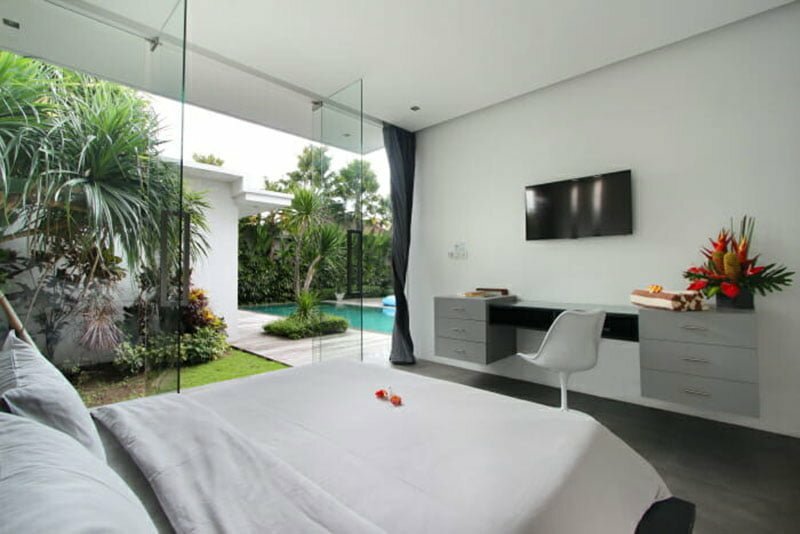 The three bedrooms are accessed through the main living room and they all have large sliding glass windows that open up to the pool and the tropical garden. 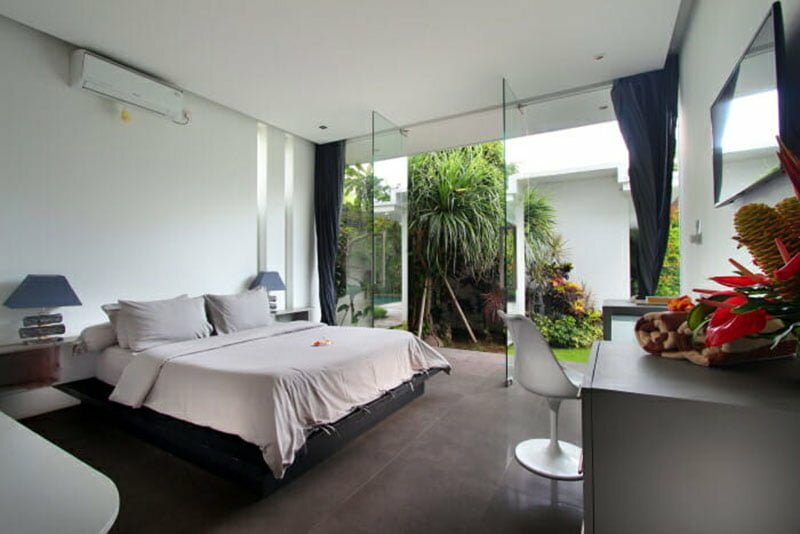 Two of the bedrooms are spacious and large while the other one is small, but it can accommodate 2 adults. They are also air-conditioned and fitted with flat-screen LCD television. 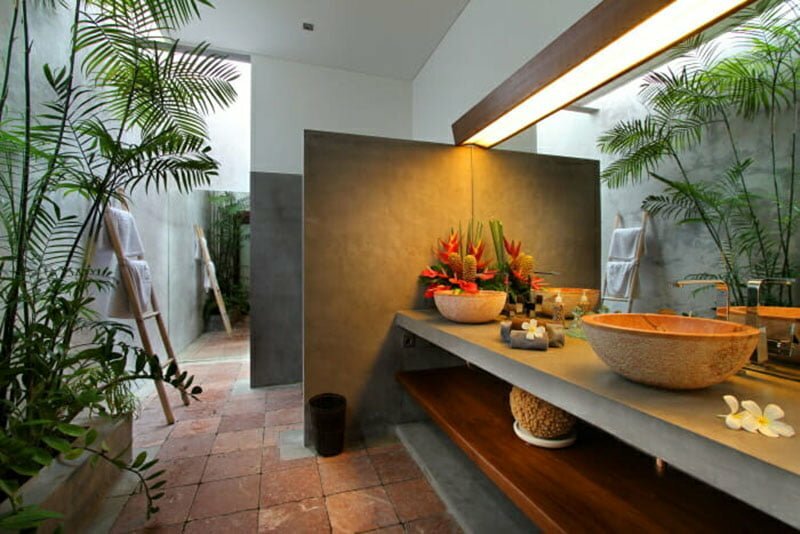 Two of the main bedrooms feature an en-suite bathroom and terrazzo bathtub while the other one has a semi-open rain shower bathroom. 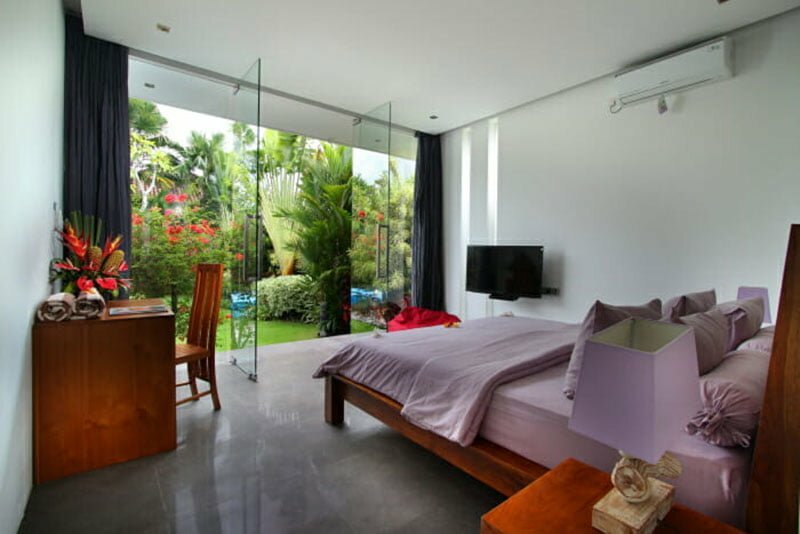 All the bedrooms in both villas have king-size beds. 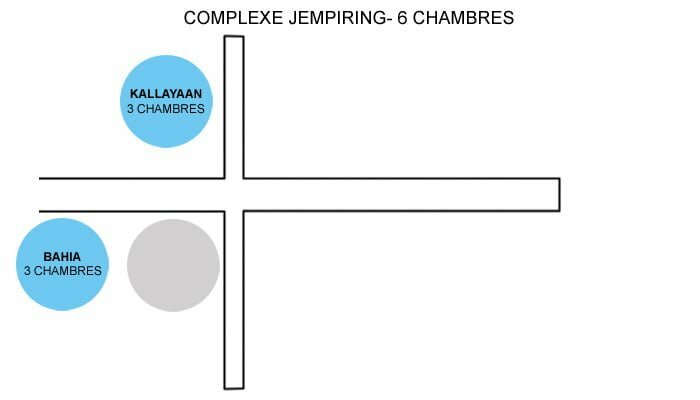 Your accommodation at Jempiring Villa Complex is made enjoyable thanks to a team of professional staff. Our highly welcoming and friendly staff is ready to speak your language. The team includes a villa manager, housekeeper, chef, gardener, and security guard among others. We strive to offer a wide range of five-star hospitality services, which include 24/7 security service, babysitting, airport transfers, motorbike & car rentals, and daily housekeeping. Any other services not specified here may be provided upon request.